Country lovers, are you ready to get your pass to the summer of a lifetime!? 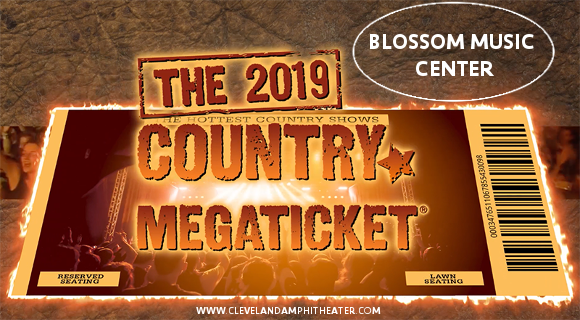 The Blossom Music Center is proud to once again host the 2019 Country Megaticket – granting you access to all the major country music events at the Blossom Music Center!! This year, the line-up includes Luke Bryan, Jason Aldean, Florida Georgia Line, Rascal Flatts, Brad Paisley and Dierks Bentley – and that’s just the headliners, with support acts including Jon Pardi, Cole Swindell, Kane Brown, and more yet to be announced!! It all kicks off from Wednesday 24th July 2019 – make it a summer to remember!! Grab those tickets TODAY!! What are you waiting for?? This is an offer you’d have to be mad to refuse – grab your Country Megatickets NOW while they last and get ready for a summer of music that you’ll never forget!